I am very proud of how Varanida has developed thus far, and excited to see what the future has in store for us. Our Varanida Extension Prototype has received a warm welcome from the community, with over 120,000 downloads to date, and hundreds of positive comments from happy users. We are making great progress on the business and product development ends, with several clients, partners, and Proof of Concept agreements lined up. We also acquired the assets and technology of Secret Media, with which we will accelerate our development, and reach our goals even faster. 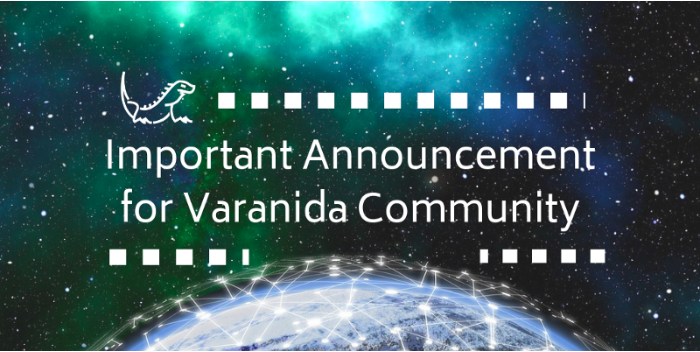 As we look towards the future, I wanted to share a few important updates with the Varanida Community. Our ICO is approaching the Soft Cap, but we realize that some of the interest has been coming from funds and “crypto-investors” who are just looking for a quick return on their investment. While we understand the importance of rewarding our early contributors, we also believe that an ICO shouldn’t be characterised entirely by its ROI. This made us think about the true purpose of our Token Sale: on-boarding a community of like-minded individuals, who are genuinely interested in disrupting the Internet and making it better for everyone. Unfortunately, some of those individuals might not have the funds to participate in our ICO, and some of them might not even be involved in the fantastic crypto-world just yet! Additionally, recent developments have resulted in less confidence in ICOs, which we feel is actually a benefit to the market at large. Raising too much money too easily can be toxic, attracting the wrong type of attention from illegitimate parties with bad intentions. Even with recent changes, we are happy to adapt to the current trends and market sentiment, because we have already proven our capability to quickly execute and deliver on our promises. After many discussions with our advisors and highly engaged community members, we have decided to completely revamp our ICO process. In an effort to show our community just how committed we are to our long-term vision, as well as our desire to continue to onboard quality members into our ecosystem, we are adopting a performance-based model for our token sale. The considerations and decisions we made have impacted the structure of our token sale, so we are freezing our current Token Sale to give us time to adjust our Terms and Conditions accordingly, and for the ICO platforms to reflect these changes. 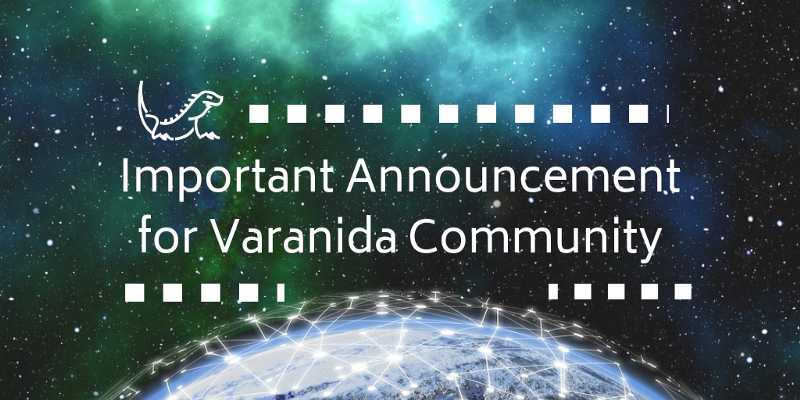 However, we would like to emphasize that the Varanida project you have all come to know and love is not changing — we are simply restructuring the Token Sale to accommodate the current ICO landscape. We believe these terms are even more favorable to contributors, and reinforce our strong commitment to make Varanida the future of digital advertising. That said, if you have already contributed and would like to get reimbursed, you are free to request a refund that will reflect the ETH or BTC amount contributed. (4.5%) Community & Early Users: This includes the 3% already allocated to “Community” tokens (i.e. Airdrop & Bounty) with an additional 1.5% of tokens for early user incentivization. (3%) Advertiser On-Boarding Program: The first Advertisers on the Varanida Network will get a 50% bonus for any purchase they make through the network. For every 1 VAD bought, Advertisers will get 1.5 VAD to spend on the Varanida Network. (3%) Publisher On-Boarding Program: The first Publishers to install Varanida will receive an additional bonus. They can either accept VAD on their platforms (websites, channels, applications, etc.) or they can support and maintain the Varanida Network (i.e. running Varanida nodes). (4%) User On-Boarding Program: Users of the Varanida Network that use their tokens to do things like pay for premium content or subscribe to service memberships like streaming, music, or video will automatically get a “usage bonus” in the form of a “token-back”. For each token spent within the Network, users will earn a 10% bonus. (2.5%) Token Holders Bonus: Contributors who hold their VAD tokens in their wallet throughout the different fundraising rounds will automatically earn “holding bonuses”. We are adding an additional 12 months of lockup for the Founders, making it 3 years of vesting, with a 1 year cliff. We believe this shows our dedication and commitment to Varanida, and to our long term goal of changing the Internet for the better. While our Soft Cap remains unchanged at 8M€, our Hard Cap is being reduced significantly. In fact, our Round 3 will be divided into 3 sub-rounds: 3A / 3B / 3C; each one associated with a specific milestone achievement. If these respective milestones are not reached, then our Soft Cap will become our Hard Cap, which still provides us with the minimum amount of funding we have estimated it will cost to build and scale Varanida. Today, we are freezing Round 2. It will re-open on September 28th at 15:00 CEST, and will close on October 6th 00:01 CEST (or earlier if the 8 M€ Soft Cap is reached) using a first come, first serve approach. Participants in Round 2 will be able to vote to decide what the milestones for each sub-round of Round 3 will be. Also, Round 2 participants will get additional discounts if they decide to buy more tokens in future rounds, as well as a bonus if they decide to hold their VAD Tokens during this period. Each sub-round will open as the project progresses, which will be measured by concrete achievements we’re setting as our milestones. These milestones will be publicly announced, and we will provide proof of our achievements when we reach them. We expect Rounds 3A, 3B, and 3C to open within the next 18 months as the project unfolds. Each sub-round in Round 3 will be implemented as an auditable and public smart-contract on the Ethereum blockchain; including options for refunds and round cancellations if milestones are not reached. Therefore, in order to provide full transparency, we will only be able to accept contributions made in ETH during Round 3. If one or more milestones are not reached by the end of the 18 month period (March 31st, 2020) the respective sub-rounds will be cancelled, and allocated tokens burnt — automatically reducing the token supply. Tokens allocated to each round are blocked in a contract, and can’t be moved until the previous milestones have been reached and the rounds have been completed. Discount*: Applies to the quantity of tokens bought in the previous round. For example, if you buy 1,000 VAD during Round 2, you’ll get a 30% discount on 1,000 tokens that you can buy in Round 3-A. If you buy 1,000 VAD during Round 3-A, you’ll get a 20% discount on 1,000 tokens that you can buy in Round 3-B. Bonus**: Anyone holding tokens in their wallet between rounds will get an additional bonus. For example, if you hold 1,000 VAD in your wallet between Round 2 and Round 3-A, you’ll automatically receive 120 additional VAD. M.A.U (Monthly Active Users): The number of active users registered on Varanida Dapps or Varanida Network. The first Application is the Varanida Ad Controller. M.U.V (Monthly Unique Visitors): The number of unique visitors to the Varanida Network, including all websites and applications using Varanida Dapps and the Verified Ad Protocol. The buying price of tokens in each sub-round of the 3rd Round will rise with each token, following a sub-linear curve that will start at the price of the previous iteration, and end at the final iteration price. The growing fund in each iteration will serve as both a possible refund (70% of the total raised) and to give us runway (30% of the total raised) to help us get to the next objective. At any point, the refund price of the token will be the same for each token, corresponding to the total fund divided by the number of tokens, minus the amount allocated to the runway. This means that when a token is bought, it is not totally refundable, since part of the investment is allocated to the runway fund. Since the tokens should appreciate in value as the iteration goes on, early contributors will have less and less risk as the fund grows, up to a point where their contribution could be fully refundable. The blue curve represents the price at which each token has to be bought, rising as more tokens are purchased. The red curve shows the total fund collected in the contract as the round goes on, divided by the number of tokens outstanding. The green curve shows the price at which the tokens would be refunded in case the objectives are not met, according to how many were sold. As the round progresses, and as the fund per token rises, the refund price rises with it. Since early contributors are willing to take more risk, it makes sense that the portion of the tokens they bought that could be refunded would be bigger relative to the price they paid to get them. At the end of the iteration, and if the pre-established objectives are met, the whole fund is allocated to Varanida, and anyone who contributed will be added to the list of bonus beneficiaries for the next iteration. In the tighter conditions we are now experiencing in the ICO market, we feel that an original and incentivized contribution mechanism like this one is a good thing for everyone. First, a rising price curve leads to a smoother transition of the token price, in correlation with the objectives required to start the iteration. The presence of real world objectives that need to be reached for each iteration to take place will give the token price substance and backing, ensuring that contributors are not just buying into a white paper, but a real project providing real results. 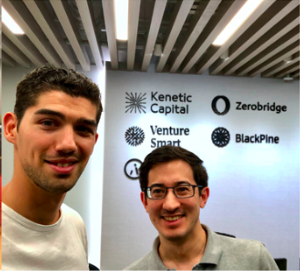 The partially refundable model also reduces the risk to participants, with priority given to early contributors of each iteration, while allowing Varanida to utilize part of the fund to continue operating and reaching new objectives. Note: Risk is only reduced during the funding round, but the possibility of a refund still exists in case objectives are not met. 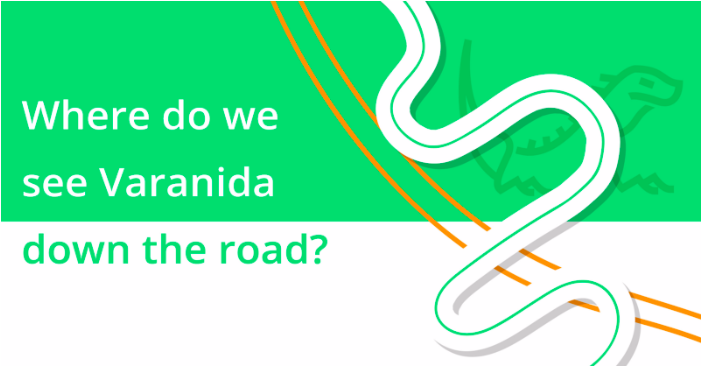 Once the pre-established objectives are met and the funds fully transferred to Varanida, the token price is fully dictated by the market, along with the associated risks.